Joe Pistone, a New York based FBI agent goes undercover with the local Mafia crime ring in order to gather information that will bring down the whole illegal operation. Pistone befriends several low tier criminals and slowly works his way up in rank. 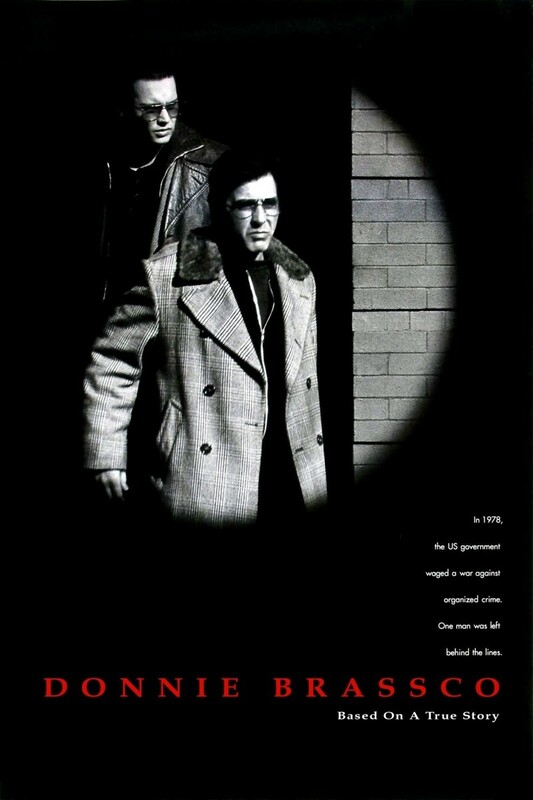 Using the name Donnie Brasco, Pistone discovers that the job requires more from him than he initially bargained for, including participation in violence, murder, and even decapitation. Facing the potential loss of friends, family, and even his sanity, Pistone must decide if the investigation is worth completing.